Robert J. Kennedy began his law career as a Legal Assistant for the Illinois Constitutional Convention and the Illinois State Senate. In 1972, he began working as an attorney in various law firms throughout Chicago, IL, and Walworth County, WI. He was elected as Circuit Court Judge of Walworth County in 1988, where he served faithfully for 24 years. He retired from his position as Circuit Court Judge on August 1, 2012. Mr. Kennedy is a member of St. Patrick Catholic Church and has served four, three-year terms on the parish council. He has served as a member of the Knights of Columbus for 32 years, the Elkhorn Kiwanis for 35 years, including a term as president, and spent 3 years on the Matheson Memorial Library Board. He is married to his wife, Marsha, for 35 years and they have 2 children. His son Colin is a Lieutenant in the U.S. Navy, and his daughter Kendra graduated from the University of Notre Dame with a Master’s Degree in Marine Archaeology. 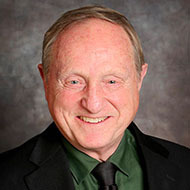 Mr. Kennedy is also a Founding Member of the Juvenile Court Advisory Board (now the Children’s Court Advisory Board), a former member of the Catholic Central High School Board including terms as chairman and vice-chairman, and is a guest lecturer on the Courts and Law.